Welcome to the new year. 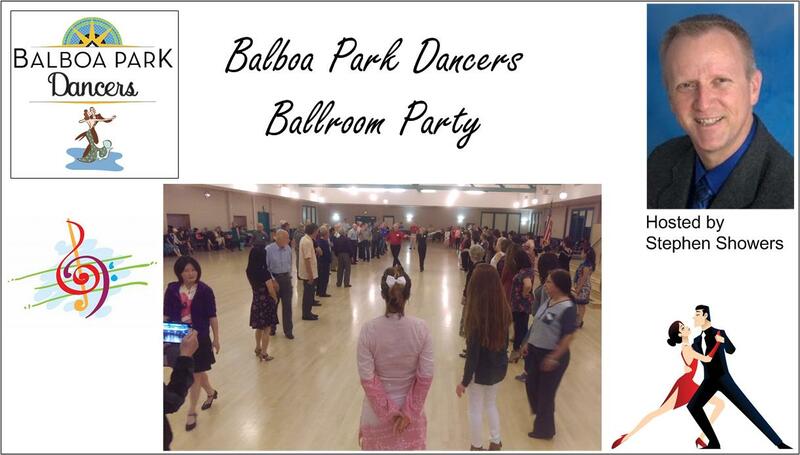 I hope to continue to make your ballroom classes and parties enjoyable and a positive experience. I was particularly thankful to see Louise Estevez visit us even though she is recovering from a terrible car accident. I am so looking forward to her full recovery and her return to dancing. 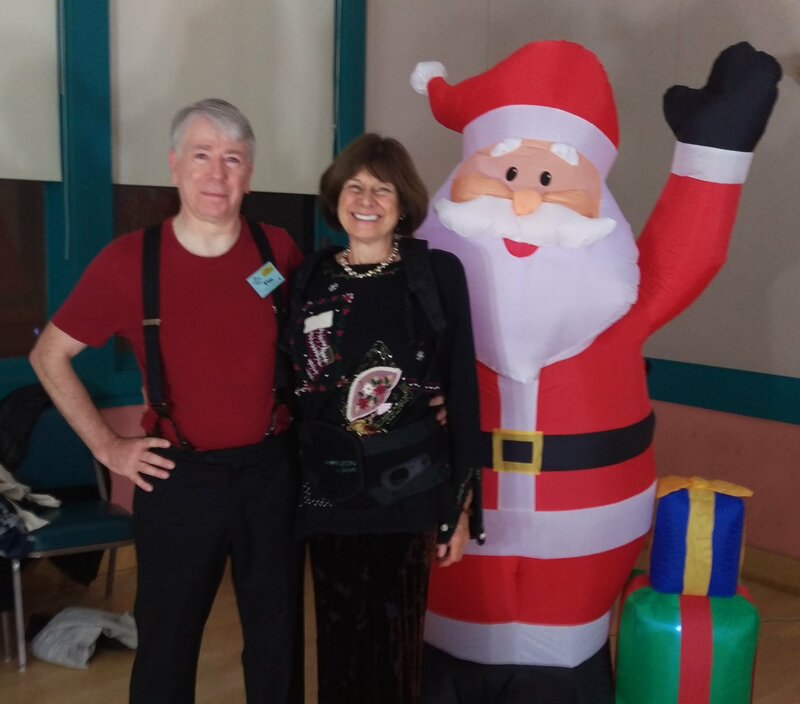 If you have not already done so please send me copies of any photos you took at the Christmas party, Thanks so much to Barry Hynum, Julie Smith, Tammy Ying, Maria Tee, and many others for their contributions. You can follow he links below to see the full gallery. 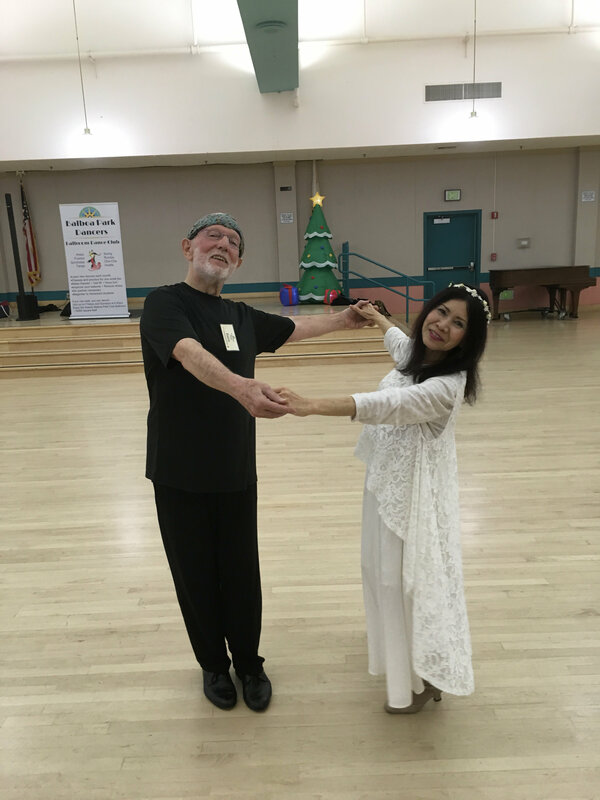 In January our smooth/standard dance is Viennese Waltz and the latin/rhythm dance is Nightclub Two Step. The Viennese Waltz is very energetic and fun but does require some skill; Nightclub Two Step is a club dance allowing the couple to move in a small area when the floor is crowded or travel when space allows. 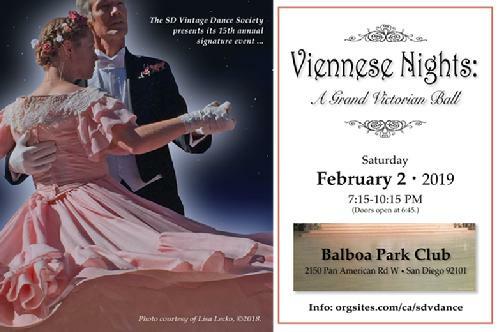 We schedule the Waltz lessons to help our attendees prepare for the Viennese Nights Ball - see below. What is now called the Viennese Waltz is the original form of the waltz. It was the first ballroom dance performed in the closed hold or "waltz" position. The dance that is popularly known as the waltz is actually the English or slow waltz, danced at approximately 90 beats per minute, while the Viennese Waltz is danced at about 180 beats a minute. To this day however, in Germany, Austria, Scandinavia, and France, the words Walzer (German for "waltz"), vals (Danish, Norwegian, and Swedish for "waltz"), and valse (French for "waltz") still implicitly refer to the original dance and not the slow waltz. 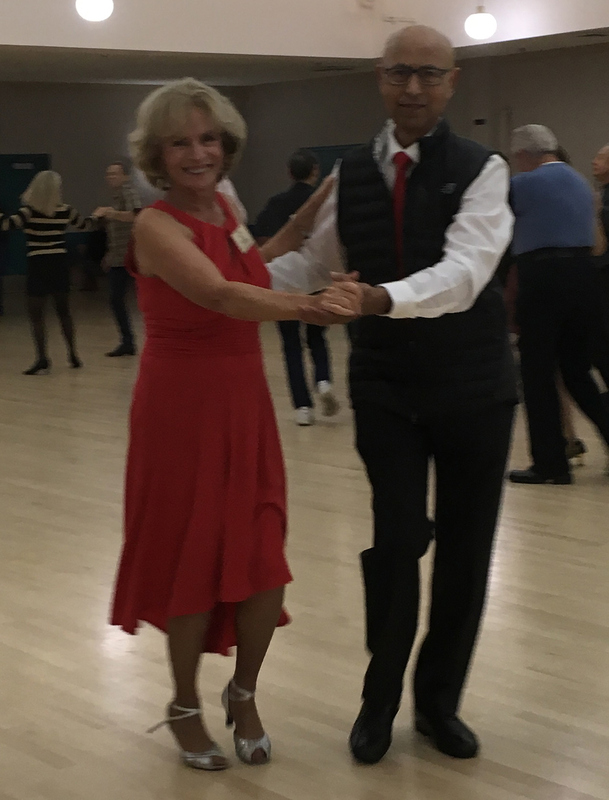 The Viennese Waltz is a rotary dance where the dancers are constantly turning either toward the leader's right (natural) or toward the leader's left (reverse), interspersed with non-rotating change steps to switch between the direction of rotation. A true Viennese waltz consists only of turns and change steps. Other moves such as the fleckerls, American-style figures and side sway or underarm turns are modern inventions and are not normally danced at the annual balls in Vienna. The dance position for nightclub two step is with a more relaxed hold, or "what people tend to do without lessons". The lead rocks back on their left foot, the follow on their right, for one beat. The Nightclub Two Step is a great alternative for dancers who want to go beyond a simple slow dance with their partner. It’s a great dance to learn how to dance to slow music. We have no cancellations at this time. 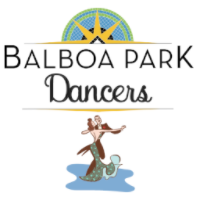 The ballroom dance party will be on January 11th. 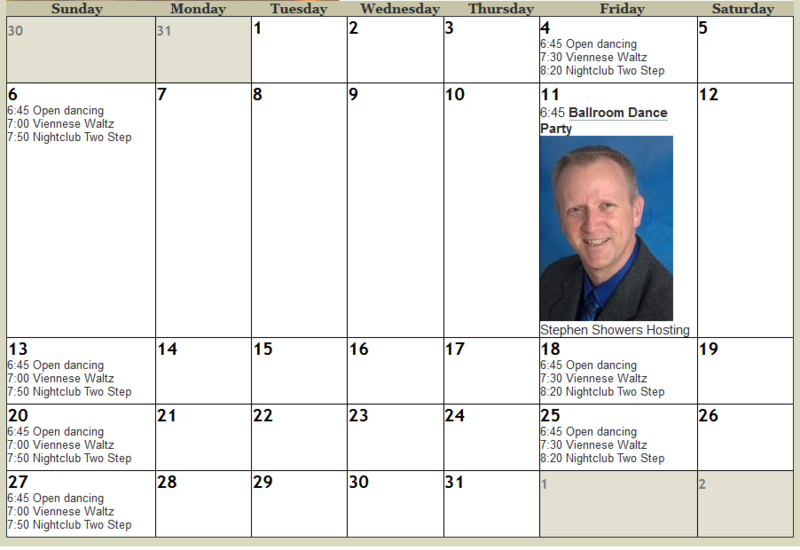 The ballroom dance party will be hosted by Stephen Showers. 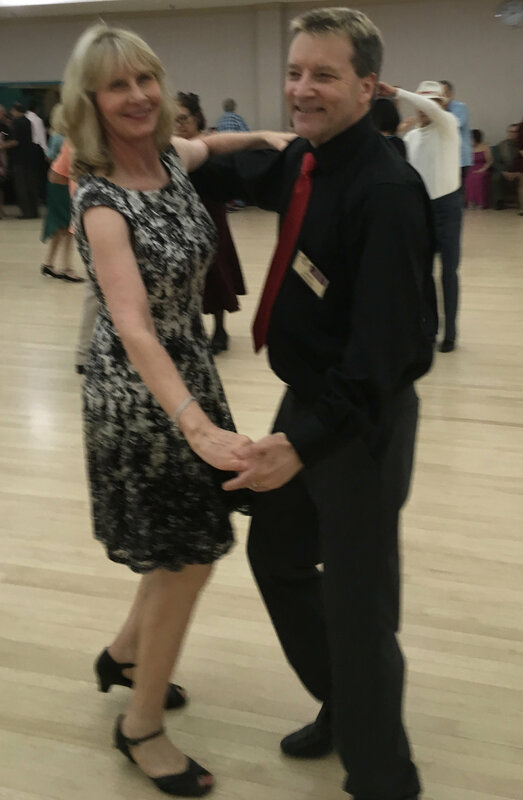 Originally from Tucson, Stephen is one of the few instructors in San Diego who has competed in nearly every style of dancesport. 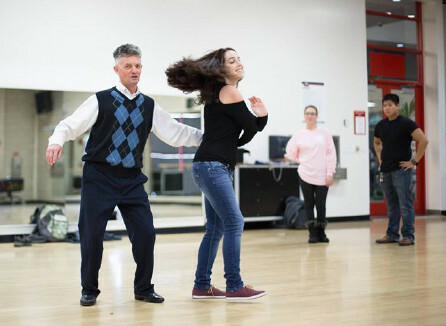 His experience as a teacher and competitor has helped him to develop a unique style of teaching that makes learning to dance easy. He teaches our intermediate level class. 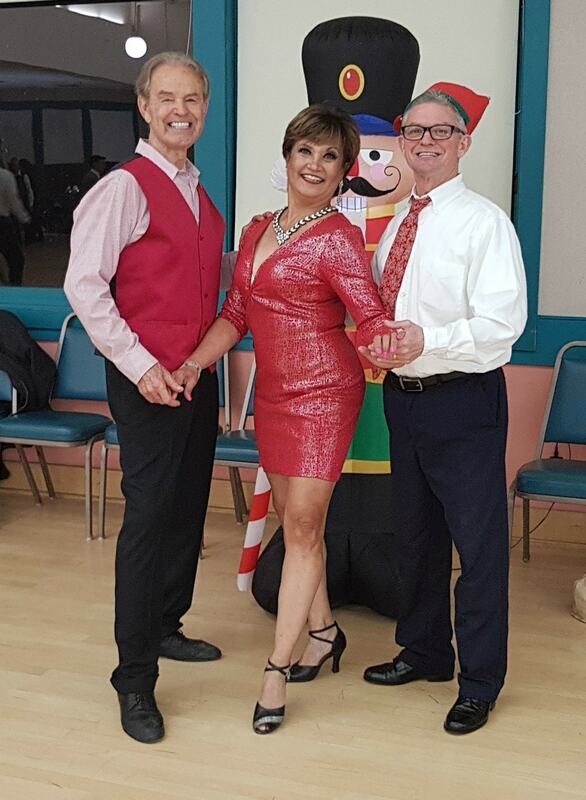 We play music for a variety of dance styles, from classic ballroom (Waltz, Foxtrot, Tango) to Rhythm and Latin Dances (Salsa, Rumba, Cha-Cha, swing). We also take requests for your favorite song. 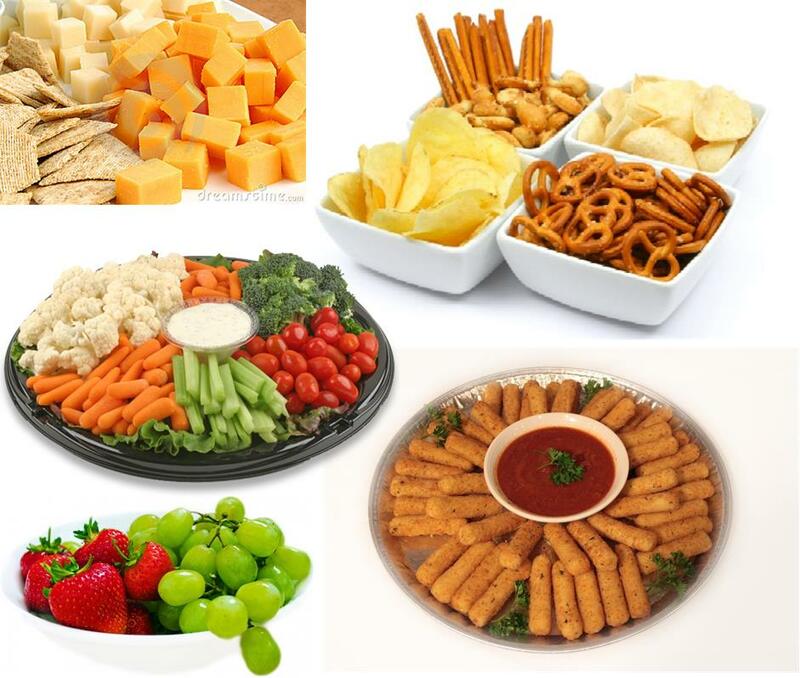 There will be snacks and cool drinks in the foyer. Stephen will teach a short lesson to get everyone dancing and we will have a mixer or two. Our beginner class instructor is teaching introductory classes as part of the Coronado Adult Education program. The first one is 4 weeks and is an intro to triple and single time swing. It starts Tuesday January 15th at 6PM-7:30 at Coronado high school. More information is here. 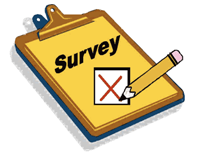 Remember we have a lost and found repository, please check for your missing item. We recently found a money clip sans cash, see a board member to retrieve it. At the beginning of each year the lost items are donated to charity. I want to remind attendees that the city has strict rules on beverages in the ballroom. Your drink needs to be in a non-spill container that is unbreakable. In the recent past we have had near collisions on the dance floor when people concentrating on their cell phone walked through the line of dance. Our dancers are pretty successful in floor craft when dealing with other couples, not so good when somebody walks through their peripheral vision. Please take care walking across the dance floor. The city goes through cycles where the escalate parking enforcement. Beware that many spaces in the back and along the curb are marked with reserved or time limit signs and a parking violation fee can be in the hundreds of $$$. Every month we place links to videos and sample music on the calendar page. Especially for beginners this is a resource that should not be ignored.